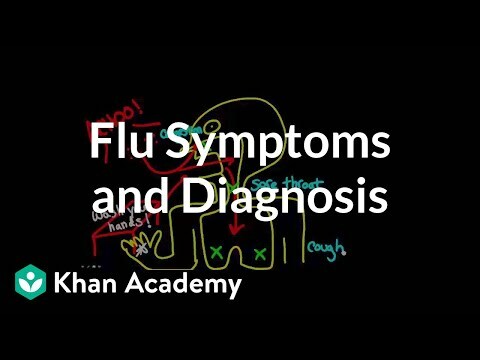 Learn the common symptoms of the flu and how it can be diagnosed. These videos do not provide medical advice and are for informational purposes only. The videos are not intended to be a substitute for professional medical advice, diagnosis or treatment. Always seek the advice of a qualified health provider with any questions you may have regarding a medical condition. Never disregard professional medical advice or delay in seeking it because of something you have read or seen in any Khan Academy video.